Ralf W. Schlosser is a Professor in the Department of Communication Sciences and Disorders at Northeastern University in Boston, MA, U.S.A. He also serves as the Director of Clinical Research at the Communication Enhancement Center, Department of Otolaryngology and Communication Enhancement at Boston Children's Hospital. His main research interests are related to augmentative and alternative communication (AAC) interventions for children with developmental disabilities in general and autism spectrum disorders (ASD) in particular. Ralf also studies the repurposing of general consumer level technology for children with ASD. Finally, he is a frequent producer of systematic reviews. 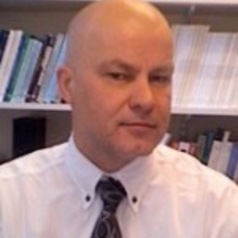 Ralf is the Editor of Evidence-Based Communication Assessment and Intervention. He has published 85 peer-reviewed articles, 25+ book chapters, and 3 books. Fellow of the American Speech-Language and Hearing Association, the American Association of Intellectual and Developmental Disabilities and the International Society for Augmentative and Alternative Communication.